This wonderful spring Saturday morning was the perfect time to continue the campaign to note the six St. Louis”enemy” streets whose German names were changed during World War I. So I headed over to Gresham Avenue just west of Kingshighway Boulevard to take up the cause. Until 1918, it had the name Kaiser Street. The St. Louis Board of Aldermen named it Gresham, after one of the first soldiers killed in World War I. 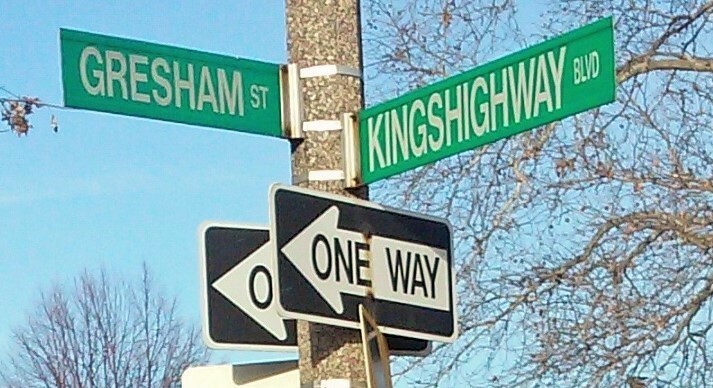 The goal is to have people from sixty percent of the households sign post cards asking that the first block of Gresham west of Kingshighway receive the honorary designation of Kaiser Street. That’s how many are needed for the St. Louis Board of Aldermen to approve the designation. I caught plenty of folks at home this morning, enough to collect thirteen signatures out of thirty-five homes. We probably should be able to collect the ten or more we need by April 1. If we do, we’ll asked 12th Ward Alderman Larry Arnowitz to introduce a bill in late April to give two streets honorary designations. He’s already agreed to introduce a bill for Cecil Place, which is near the corner of Kingshighway and Gravois Avenue. 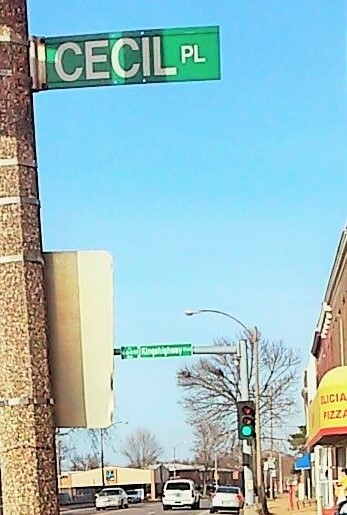 In January and February, enough signatures were collected to give Cecil Place the honorary designation of Habsburger Avenue. That was its name before World War I. Once again, thanks to Alderman Arnowitz and the Princeton Heights Neighborhood Association for lending their support to our efforts. 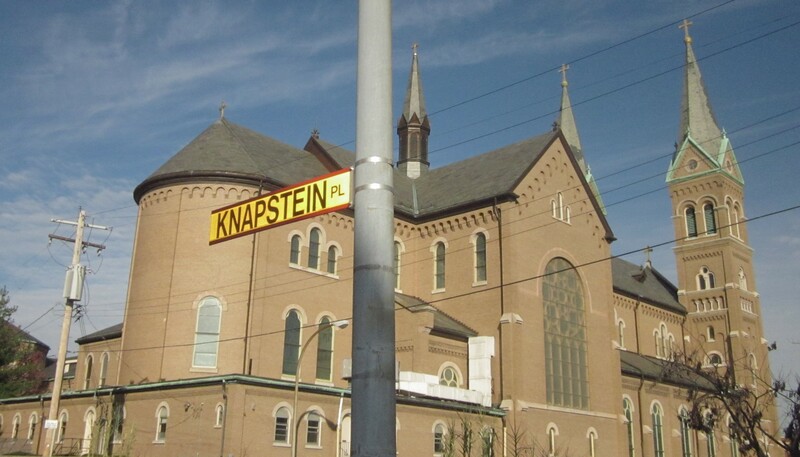 After Providence Place received the designation of Knapstein Place last fall (above), we’ll be halfway to our goal of providing special recognition to the six former “enemy” streets that were renamed nearly a century ago. 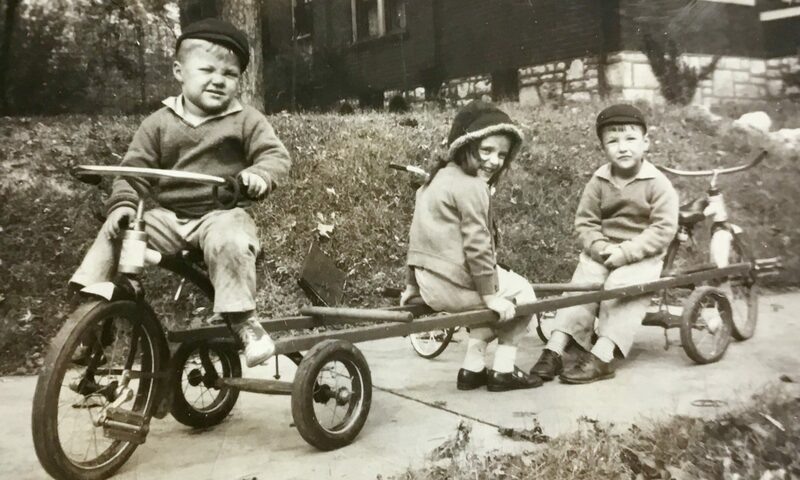 With the valuable financial and moral support of the German American Heritage Society of Saint Louis, as well as the help of so many aldermen and friends, we can reach that goal. Tonight was a real blessing for me. I attended the 2015 Diplomatic Reception and Dinner Commemorating the Founding of the German American Heritage Society of Saint Louis. There, I was honored to receive the organization’s Stemmler-Hecker Founder’s Award for my book Beer, Brats, and Baseball: St. Louis Germans and for my work to provide recognition for the former German names of six St. Louis streets that were renamed during World War I. The award meant a lot to me. I accepted it in the name of my great-great grandfather, Louis Charles Merkel I, and all German immigrants to St. Louis.